Mustangs Daily reported it. We can verify it. The next range-topping super-Mustang from the freaks at SVT will be the 2016 Shelby GT350. As we previously reported, it will be an all-motor affair, but we've since dug up some more info. Power will come from a high-revving naturally aspirated V8 derived from the GT's Coyote 5.0 engine. The new SVT mill will have larger displacement and substantially more power than the 2015 GT, however (which should be no slouch itself, at around 450 hp). It will be less powerful than the ridiculous 662 hp from the current supercharged 5.8 in the GT500. 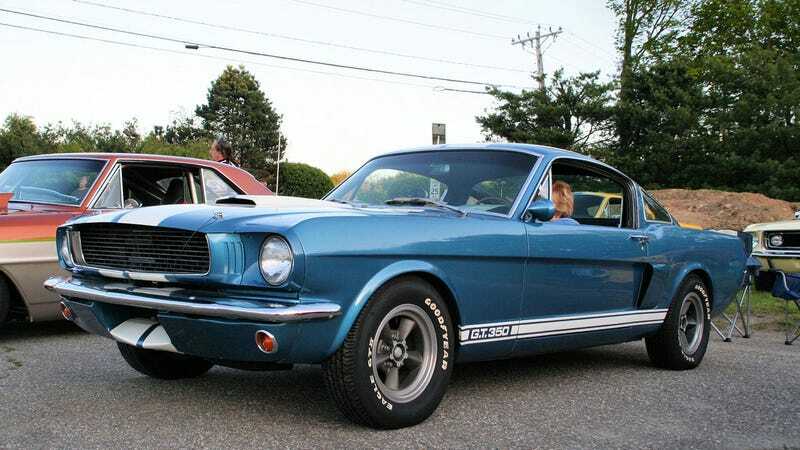 It'll debut at the 2014 New York Auto Show, whose final press preview day happens to be on the Mustang's 50th Anniversary. You'll all see the regular Mustang lineup before this year is out: base V6, the EcoBoost four-banger, and the GT. For more background, hit our two '15 Mustang stories here and here.